American Airlines is set to add nonstop flights to Barbados from its Dallas-Fort Worth hub three times per week start on December 16. 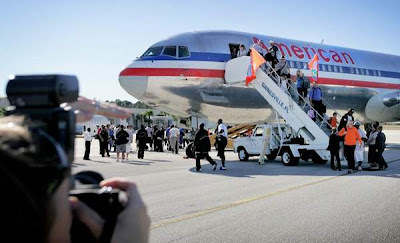 This will be an accumulation to American Airlines’ selection of flights to Barbados. Presently the airline provides daily nonstop service from New York's John F. Kennedy International Airport and Miami International Airport. Flights to Barbados will be departing Dallas on Thursdays, Saturdays and Monday, leaving at 1:30 p.m. and arriving at 9 p.m. Return flights from Barbados will depart on Fridays, Sundays and Tuesdays at 11 a.m., arriving in Dallas at 3:30 p.m. Currently existing for purchase, the flight will be derived with Boeing 757 aircraft with 22 seats in Business Class and 166 in the Coach cabin.